Keep your little one's room neat and tidy with this Jungle Animals Wooden Bookshelf. With its sturdy wooden construction, it is designed to be age appropriate and ideal for storing all your little one's favourite books, toys and games. 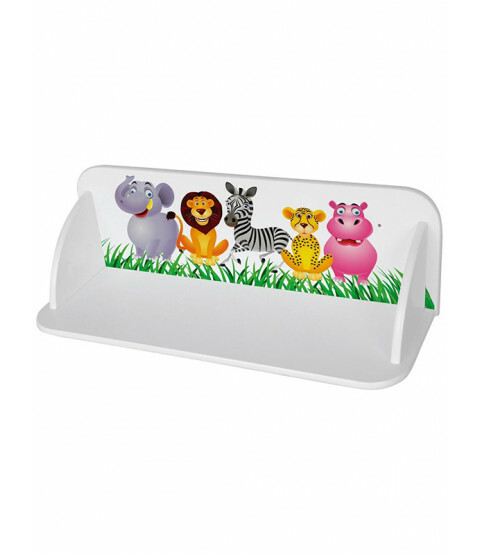 The shelf can be quickly mounted on the wall following the easy to use instructions supplied and has a colourful animal themed design that will look great in any bedroom, playroom or nursery.